January seems like one of those times of year where nothing gets done: It’s cold, it’s grey, it’s rainy, and who can move after all those Christmas cookies? Good news — you don’t have to. Meanwhile, since winter is the slow season at Antonio & Delsy Lawn Care, we’re offering 20% of our regular prices on all our services. We figure it’s a great way to help generate business for us and maybe motivate you to stop procrastinating on some of those winter chores. We’ll make it easy for you, too. Our crew is on time, professional and efficient. We do the job to your satisfaction. And our prices are hard to beat, even when there’s not a sale! Like you, we’re already looking forward to spring. But until we start seeing green in our landscape again, let Antonio & Delsy Lawn Care take care of all those projects you ’ve been putting off. We’ve been in business for almost 15 years in the greater Nashville area, and we’re always happy to provide references from our long-time customers. We always provide affordable rates and friendly and reliable service. Please contact us at 615-977-7671 or antoniolawncare@gmail.com. We look forward to hearing from you! November has blown in blustery, but it’s kind of nice. We like it when there’s a chill in the air for Thanksgiving, because it makes everything seem a bit more festive. We love that time of year when you gather with friends and family and give thanks for all the blessings in our lives. Of course, if you’re hosting Thanksgiving this year, you might want to bless others with some of the clutter that’s been accumulating in your house. And yes, Antonio & Delsy Lawn Care can help with hauling away the big stuff. 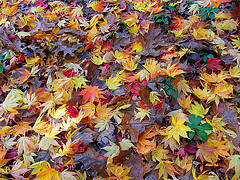 After summer, our business slows down quite a bit, which frees us up to do all sorts of fall chores around your home. Just like our lawn care services, our odd-job services are reasonably priced. You can call us anytime for an estimate. Admit it: It would be great to welcome your relatives and neighbors for Thanksgiving into a clutter-free home. Plus, you’ll be making room for all the Christmas stuff that will follow soon after! Remember, if you need help with clearing out that clutter, Antonio & Delsy Lawn Care is just a phone call away. We’ve been in business for almost 15 years in the greater Nashville area, and we’re always happy to provide references from our long-time customers. It’s that time of year again when we seem to switch back and forth between the heater and the air conditioner — in other words, it’s fall in Middle Tennessee. She runs a little hot and cold, but we love her. Except maybe when it’s time to do those dreaded fall chores, like cleaning out the gutters. Wouldn’t it be nice to know you didn’t have to? If you’re looking for someone in the Nashville, Franklin, Gallatin or Hendersonville areas to rake and bag leaves, mulch the gardens and prep the beds in time for bulb planting — and, yes, clean out the gutters — look no further. Antonio & Delsy Lawn Care can take over all those fall chores for you, either as a one-time service or on a regular basis. We’ll work with you to schedule our service at a time that’s convenient, and you’ll come home to a yard that’s been spruced up just right for the season. You can set out potted mums and pumpkins against a backdrop of a neatly trimmed yard, perfectly weeded beds and bags of leaves already taken away and disposed of for you. We’ve been lawn care specialists in the Greater Nashville area for nearly 15 years, and even though cold weather is just around the corner, that doesn’t mean we stop working. We hope you’ll think of Antonio & Delsy Lawn Care whenever you need something done around the house, both inside and out. We have many long-time customers and would be happy to provide references upon request. You can count on us for affordable rates, friendly and reliable service, and getting things done on a schedule that works for you. For yard and home projects large and small, please contact us at 615-977-7671 or antoniolawncare@gmail.com. We look forward to hearing from you! Hello, Nashville friends and neighbors! We are very proud to announce the launch of our very first website. Many of you know us because you have hired us to take care of your yards and homes. We have been in business for ourselves for almost 15 years, and some of our clients have been with us the whole time. Some of you may be new here, and we want you to feel free to ask questions! As a husband-and-wife team, we work hard because, like you, we are raising our family here in Middle Tennessee. It is important to us to grow our business and set a good example for our two sons. We have high expectations for our team, and we know you have high expectations for us. Please know that you can count on us to be your go-to solution for your yard, gardens and other landscape needs. When you think of Nashville lawn care, or Franklin lawn care or Hendersonville lawn care — you get the idea — we want you to think of us. And we hope you'll refer us to your friends and family. We always provide free estimates, and we always return your call.